Having witnessed several ethnic amalgamation, abundant historical relics and diverse city view can be seen in Taipei. 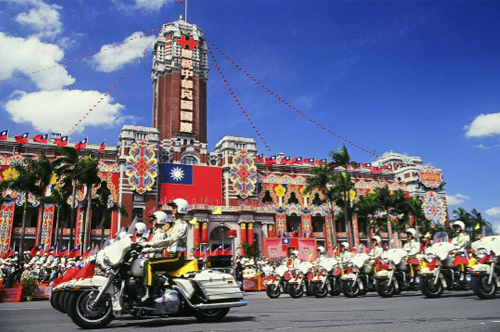 Taiwan has gone through five eras. Pingpu aboriginals, Ketangalan dominated the initial era. Then came the Spanish and Dutch development, Qing dynasty rule, Japanese colonial rule and Nationalists retreat to Taiwan. Roaming in the streets and alleys in Taipei, the changes tell of the story of Taipei’s historical development. A trip to Dadaocheng is like time traveling back to our grandparents’ generation. Traditional markets, fabric shops, dried foods vendors, temples, tea houses and many other stores thrive in coexistence. The pier used for offloading cargos in the past is still in place at Dadaocheng Wharf which is now reorganized as a leisure park for tourists. 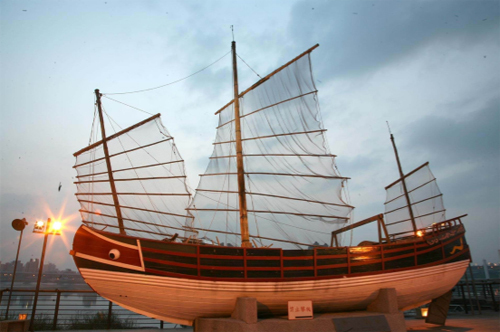 Meanwhile, Tangshan Sailboat stands as a landmark that tells of Dadaocheng’s history and local stories. In late Qing rule, Taipei Capital was built in the 1.4-square-kilometer area between Dadaocheng and Mengjia guarded by surrounding city walls. 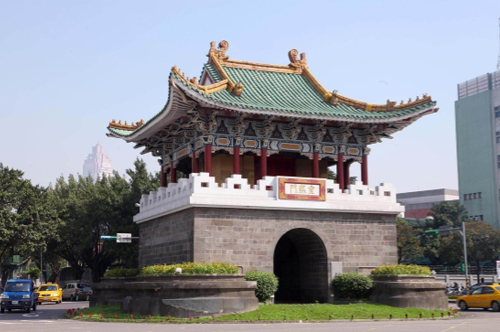 There were originally five stone-made city gates built under the administration of several Qing officers. Unfortunately, the city walls merely lasted about 30 years from its inauguration to demolishment. Nowadays, the remaining four gates are open to the public. 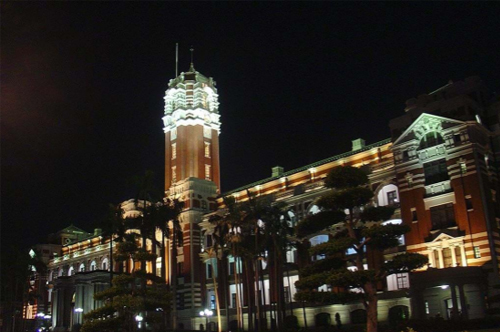 The Presidential Office Building was originally designed to house the office of the Governor- General of Taiwan in 1919. 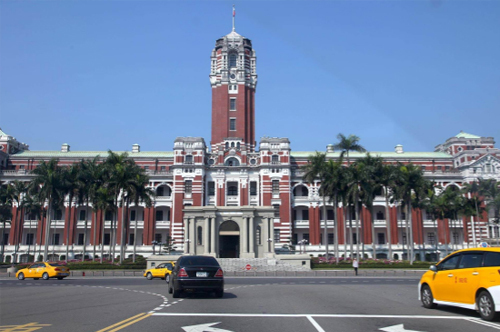 Since then, the post-renaissance-style building has always been an iconic architecture in Taiwanese politics. All important administrative offices locate around the Presidential Office Building. Flag-raising ceremony takes place annually at the Presidential Office Building on National Holiday. Stately Tri-service Honor Guard can also be seen on National Holiday and Presidential Inauguration. The public hot spring bathhouse has been renowned since the period of Japanese rule. Composed of red brick walls and black tiles, the Tudor style architecture echoes the greenery that surrounds. It truly is a soothing place. Sunlight coming through stained glasses creates an exotic atmosphere with Roman vaulting encircling the bath. The second floor of the public hot spring bath house is of traditional Japanese style. 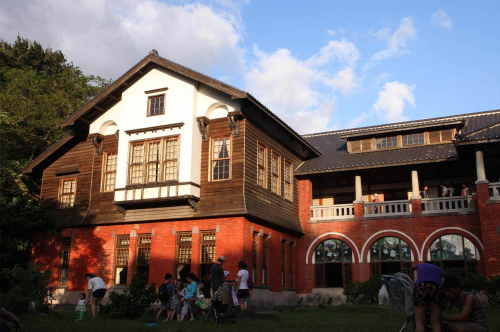 Locals dedicated much effort so that this historical building could be safe from demolishment and is now preserved as Beitou Hot Spring Museum. 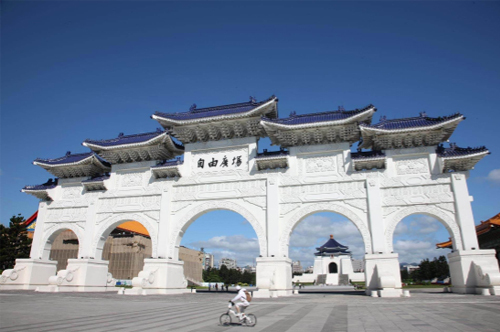 Chiang Kai Shek Memorial Hall is a must-visit tourist attraction in Taipei. This internationally renowned landmark covers an area of 250 thousand square meters. On both sides of the 76-meters-high main building sit the National Theater and Concert Hall. The construction was completed in the 90s. In 2007, Chiang Kai Shek Memorial Hall is officially listed as a national historic monument. The exterior is mainly blue and white, symbolizing the blue sky and white sun on the national flag of the Republic of China. The stairway that leads to the main hall is of 89 steps which symbolizes the late president Chiang’s age at death. The well known bronze statue of Chiang Kai Shek is located in the rear of the main hall. The tri-service honor guards shift-changing performance takes place at top of the hour daily and attracts a good crowd of tourists. 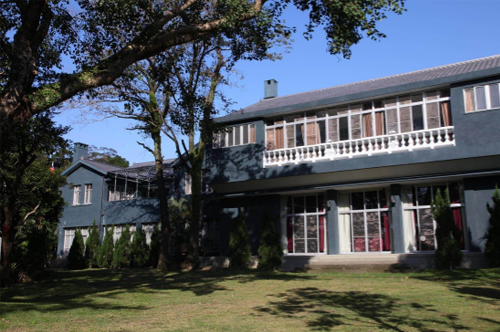 Taipei Shilin Official Residence was built in 1940 as late president Chiang Kai Shek’s residence. On July 14th 2000, it was designated as special municipality historical monument. In May 25th 2005, it was designated as national historical monument. Although the residence’s former owner has passed away, the essence of its glorious past has quietly managed to stay. The residence includes the main room where late president Chiang hosted guests, lady Soong Mei-ling’s study where she read and painted, a small church where late president Chiang Ching Kuo and his wife visited for Sunday gatherings, and a flourishing rose garden of a variety of different roses where rose expo is held annually. Taipei 101 is a skyscraper located in Xinyi district. The landmark comprises of 101 levels above ground and 5 under ground. 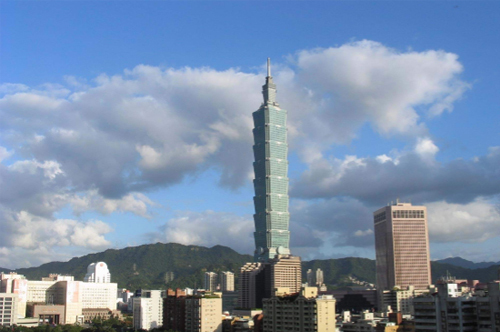 Standing at 1,667 feet, it is the tallest building in Taiwan. It held the record as the world’s tallest building from December 31st 2004 to January 4th 2010. It is now the ninth tallest building in the world. In the meantime, it is still the tallest green building around the globe at the circum-Pacific ring of seismic activity. Taipei 101 boasts the world’s largest damper and the world’s second fast elevator (fastest elevator is at the Tokyo Skytree). It is now a commercial complex that houses both offices of renowned international businesses and boutique stores.